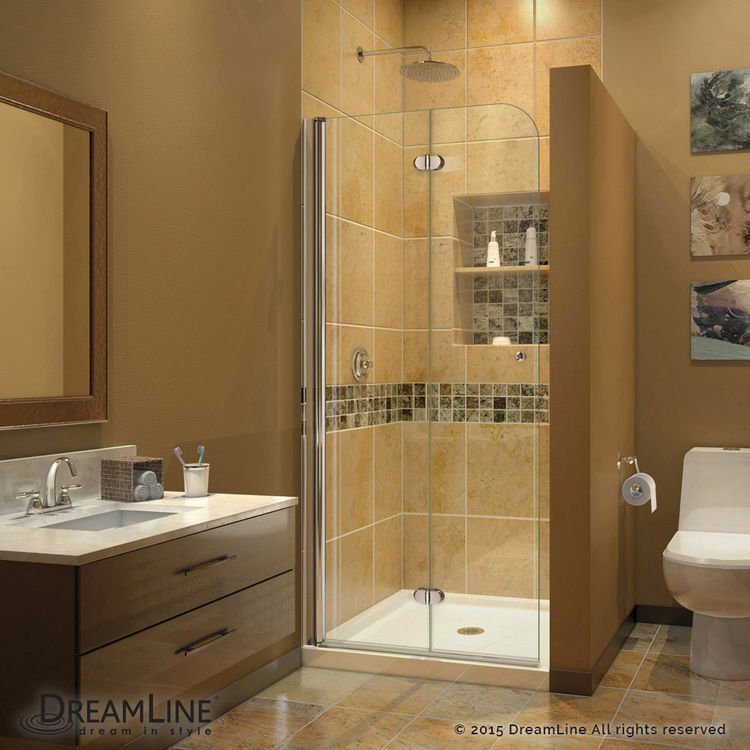 DreamLine's SHDR-3445720-01 is a frameless shower screen coming from the Aqua Fold collection. With its European elegance and curved outline, it offers an appealing look, luring you into a nice, refreshing bath. Its space-saving bi-fold style offers a wide entrance and is a great solution if a sliding door won't be feasible. 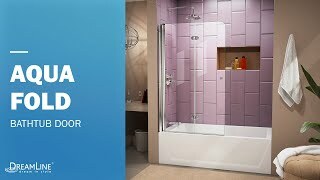 It proudly features a continuous self-centering pivot that enables rotation out of and into the shower. Its chrome hardware finish is equally sophisticated and offers a stark brilliance in your bathroom. This DreamLine Shower Door utilizes a luxurious, chic-looking panels that will match any bathroom. 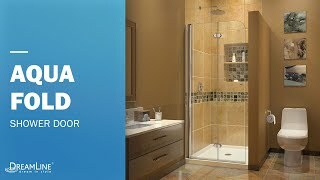 These glass panels are ANSI-certified tempered glass it is proven durable and practically unbreakable. The clear glass creates a feeling of an open space and leaves zero distraction from any bathroom decor. Its model size measures 33.5" x 72". The DreamLine Bi-fold Shower Door is covered by DreamLines limited lifetime manufacturer warranty. 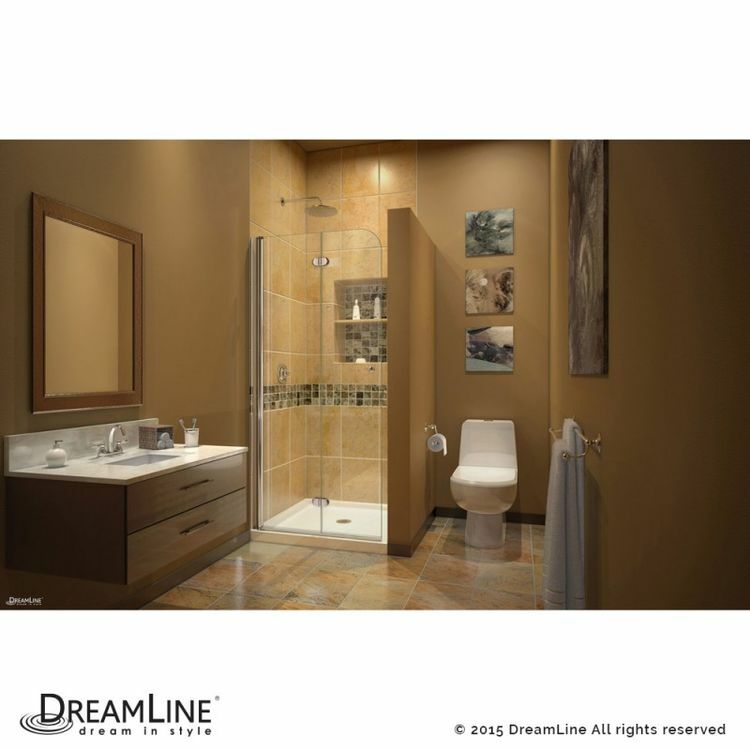 DreamLine has been a world leader on affordable luxury bathroom solutions with exceptional ratings on customer satisfaction and product excellence. Shipping Dimensions 77.0" x 24.0" x 5.0"